ca 500 - 450 B.C. 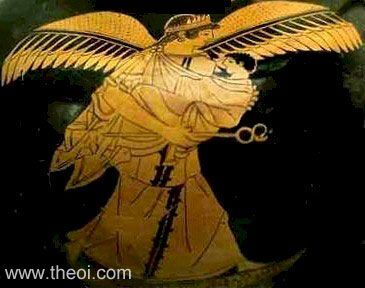 Iris, the winged messenger of the gods, nurses the infant Hermes at her breast. She wears a tiara-crown and holds a herald's wand (kerykeion) in her hand.